Brake Performance offers a Self Adjusting Kit to replace and improve your existing Brake Drum factory hardware. Each kit includes all the necessary parts and is manufactured to meet or exceed factory specs for a guaranteed factory fit. When installing new Brake Drums you should always inspect and or replace the hardware to ensure trouble free braking. Includes Star Wheel Adjuster Assembly. 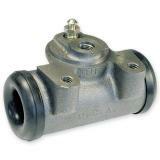 Guaranteed to fit original factory equipment specifications. 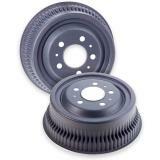 Designed and tested for each Brake Drum application. 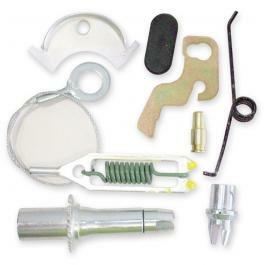 Brake Performance Self Adjusting Kit is guaranteed to be the same fit and specifications as your factory Self Adjusting Kit. You can install them with no worries about factory fit or function. We do recommend you have a certified mechanic install them for proper installation procedure. 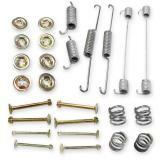 Recommended for any vehicle with Brake Drums needing a Self Adjusting Kit. If you have any questions or need assistance choosing the correct Self Adjusting Kit for your vehicle, call our brake experts toll free at 866-756-5536. How Does A Self Adjusting Kit Work? As the brake linings wear, the shoes must travel a greater distance to reach the drum. When the distance reaches a certain point, a self-adjusting mechanism automatically reacts by adjusting the rest position of the shoes so that they are closer to the drum. Here, the adjusting lever rocks enough to advance the adjuster gear by one tooth. The adjuster has threads on it, like a bolt, so that it unscrews a little bit when it turns, lengthening to fill in the gap. 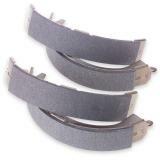 When the brake shoes wear a little more, the adjuster can advance again, so it always keeps the shoes close to the drum.